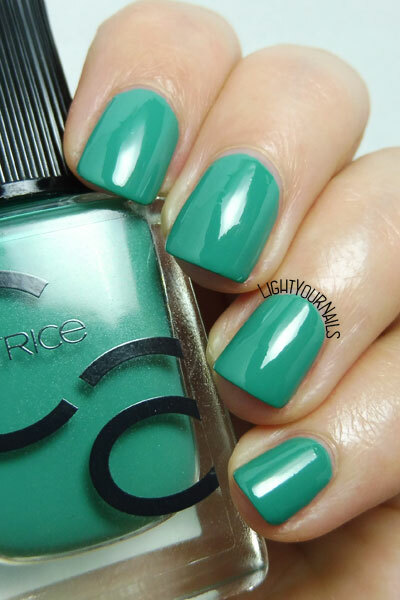 Catrice ICONails 13 Mermayday Mayday | Light Your Nails! Today I am back with yet another shade of the ICONails range by Catrice. There are seriously too few greens and blues in this range and I picked the only green shade. Catrice ICONails 13 Mermayday Mayday is a great quality crème nail polish, application is really easy, as all other ICONails I’ve tried so far. Coverage is very good at first coat already and perfect at second coat. Drying time is quick and the finish is glossy. I like this shade, it’s not too dark nor too light. It fits any season if you like wearing green on your nails. Thumbs up! Do you like it? 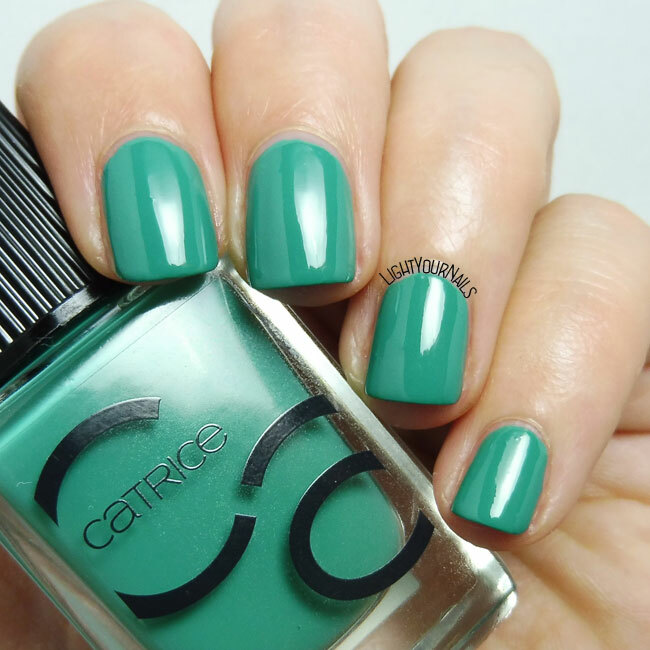 And have you already found and tested Catrice ICONails nail polishes? I love this shade, it's very pretty! And it looks really good on you. Thank you! I really like it, too. This looks great on you. Love the green shade and the finish makes it even more pretty! I haven't tried anything from Catrice before. This color is to die for! You should totally try something from them! This is so shiny and perfect! Mi piace molto questo colore. Ti dico la verità mi sono soffermata davanti allo stand degli iconails di catrice, ma alla fine non ne prendo mai uno perché bene o male sono colorazioni che già ho o comunque simili..però prima o poi uno lo voglio provare! Anche io faccio così tante volte, poi però la curiosità di provare un nuovo brand ha la meglio!